Sauna in the confessional box anyone? Once upon a time, churches were the center of the community in the Christian world. Now, people seem to prefer going to the high street. So what do you do with a church building that's expensive to maintain and not as popular as it used to be? 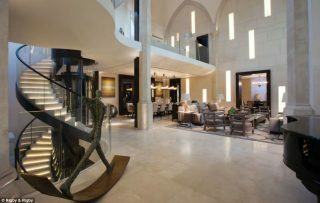 From a friar with a business model to beer lovers determined to save a condemned building, here are six unlikely stories of how religious buildings have taken on a new lease of life in their local communities in some pretty inventive ways. It all started with a group of friends coming together to take photos in an old abandoned church in the Spanish City of Llanero. One of the groups' families owned the church, and one day they thought they'd install a small skate ramp, followed by a bigger skate ramp and then a major art installation by street artist Okuda San Miguel. 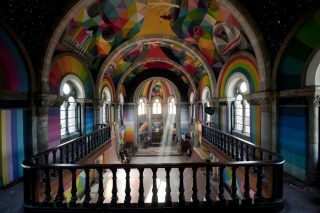 “Domes, stained glass windows and ramps coexist in an amazing spot to practice what for many is more than a religion, skateboarding,” they say. Its bizarre beginnings and unique decor have brought the building international fame, turning it into a tourist attraction as much as a popular skate park. 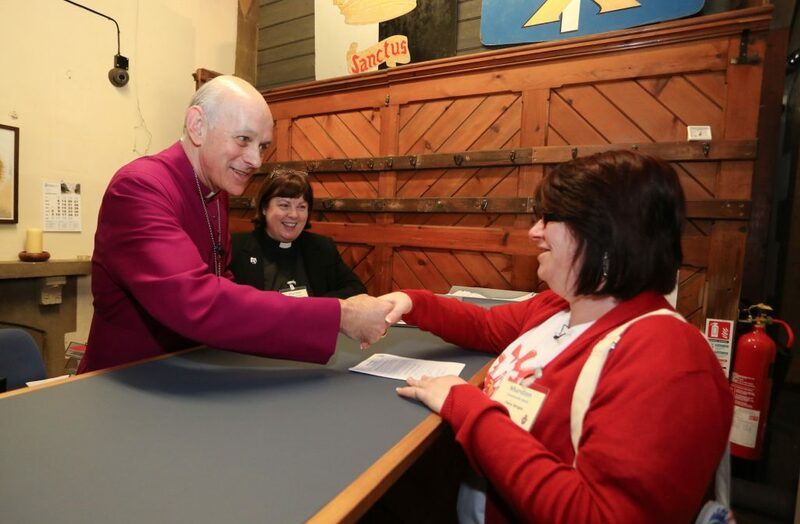 It’s run as a not-for-profit by an organisation called ‘Church Brigade’. When the local steel industry started to decline in the 50s, people in the town of Lawrenceville moved away to be closer to their jobs. The town downsized and church attendance dropped. 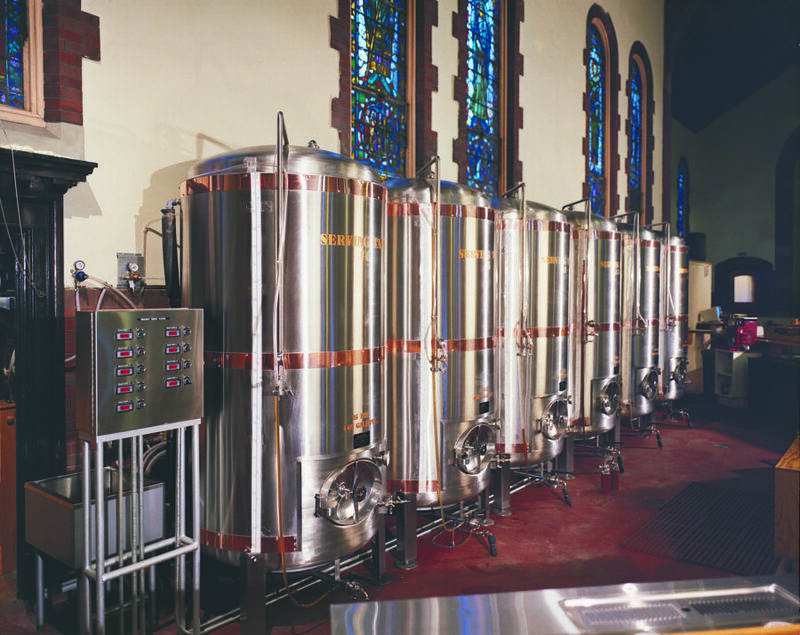 By 1993 the church was shut and ready to be demolished – until a group of people decided the tall ceilings and spacious aisles would be perfect for brewing beer –obviously! The church-turned-brewery now employs over 84 staff, was named one of the best breweries in Pittsburgh in 2012 and won Brewer of the Year Award in 2013. Nearby property values have even risen since it opened. Seems like beer and a little faith are a winning combination. What do you do with an 18th century confessional box when people don't seem to have much to confess? Turn it into a sauna, of course. 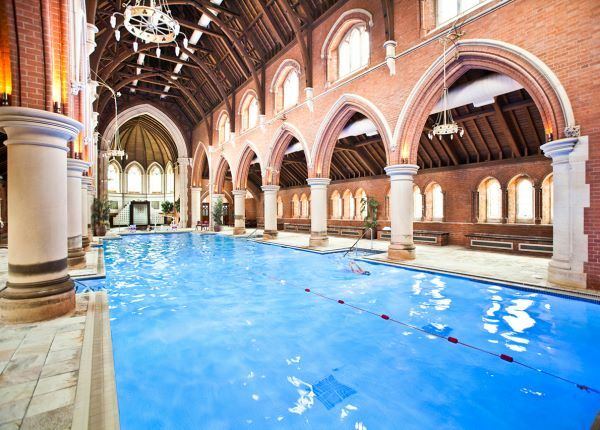 Splashing about under those vaulted ceilings comes at a price – membership to the Virgin Active gym, pool and health club is around £96 a month. St. Saviour's was a church in a pretty pricey area of London. When service attendance fell and money was needed for repairs, the building was sold to developers in 1998. 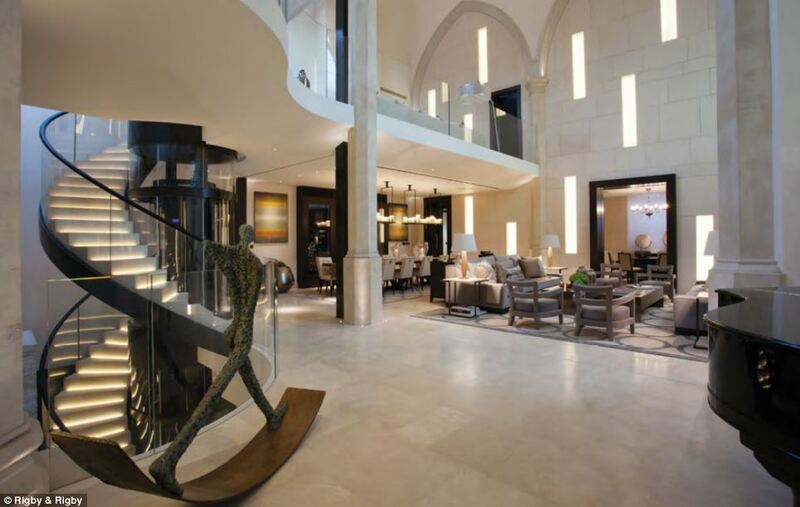 Part of the building is still a pretty active church, but most of it was turned into a luxury four-storey home. Fun fact: Its first owner was Alain Boublil - the man who wrote the musical Les Miserables. Less fun fact: the change in value of the house is a pretty depressing indicator of how much house prices in London have skyrocketed. In 1837 the land the church was built on bought for £300. Current asking price? £50 million. When the head of the Church of England, the Archbishop of Canterbury, wrote to churches to ask them to support alternative ways of lending money to people, the congregation of All Saints Church in Murston decided to honor the call and opened a Kent Savers Credit Union branch in 2014. That means that for two hours every weekday the church isn’t a church, but a bank. 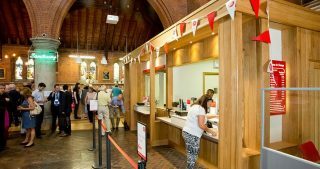 In the first year, the local branch gained 300 new members and doubled the amount of money being saved in savings accounts, to £1 million. 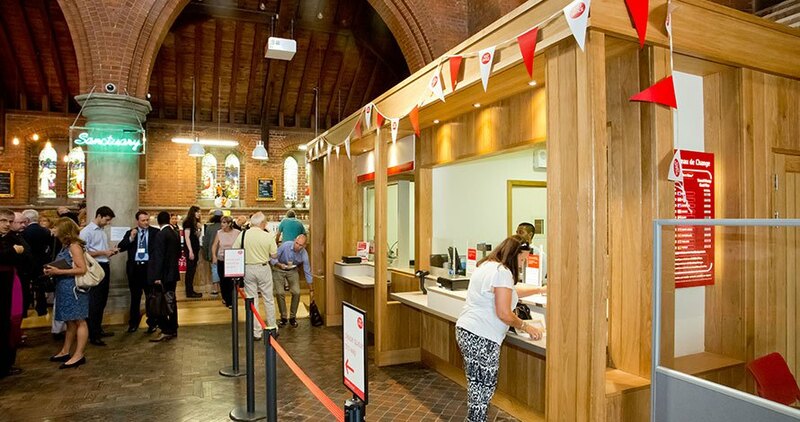 When Friar Andrew heard about the closure of the local Post Office in mid-2014, he offered to house it his 18th century church. To turn it into a stronger business model, he decided to widen his 'revenue streams', and opened a children’s play center, a cafe and a shop. All three run as businesses, and the profits go to help a debt advice center.